Executive assistants may work for a company executive or act as an assistant of a department or division. Though the role is mainly related to administrative work, there are a lot of technical skills that are needed for a candidate to be hired as an executive assistant. 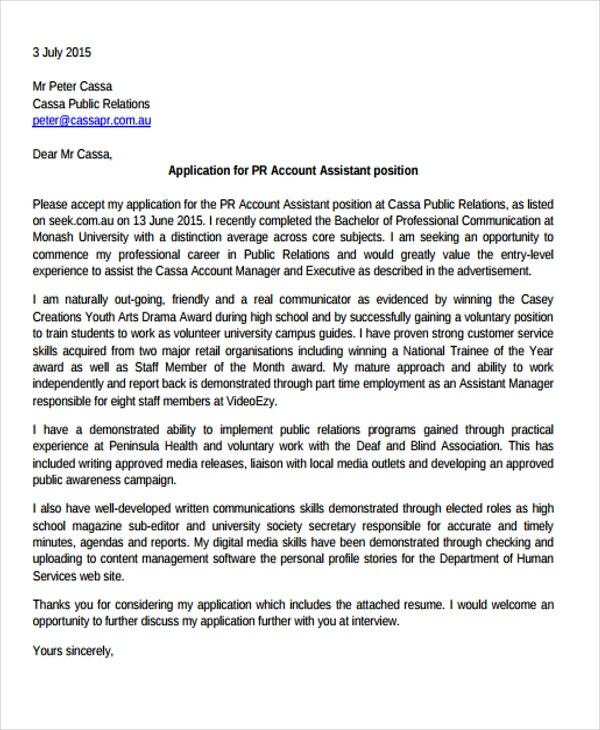 One way of showing your qualifications if you want to apply for this position is by using a cover letter sample for an executive assistant. 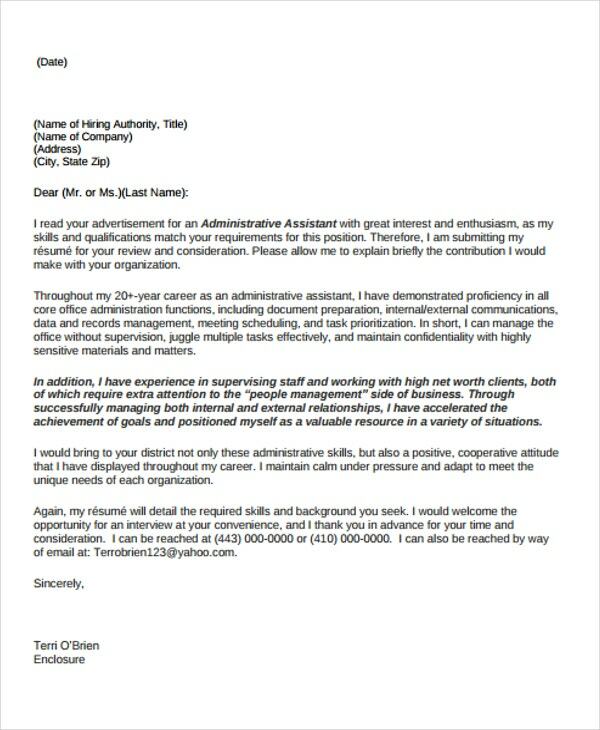 This post is a collection of executive assistant cover letter templates that you may use as guides in creating your Cover Letter Format. 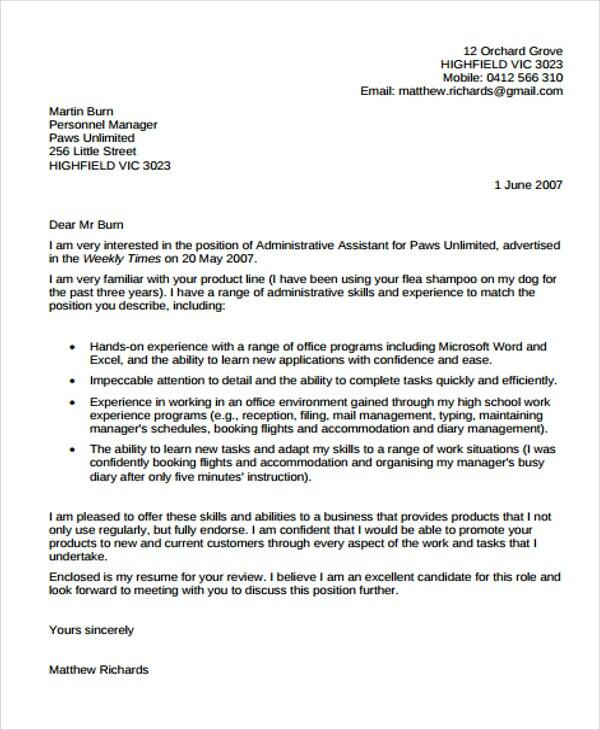 Other than that, we can also provide you with Resume Cover Letter Samples for additional references. Be organized. It is very important to show that you can properly record things as it is one of the main responsibilities that will be given to you should you be hired. 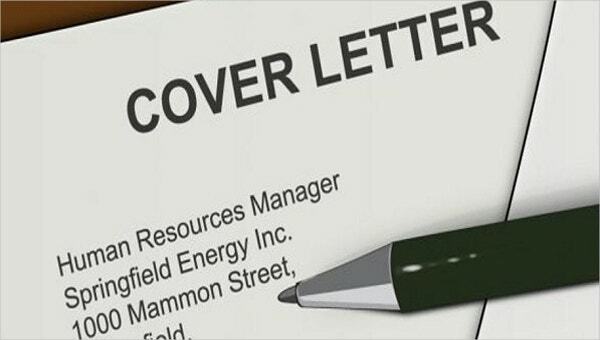 Start impressing your prospective employer with your job cover letter. Directly show the relation of your qualifications and experiences to the executive assistant position that you are applying for. Research on the job requirements of the position and incorporate your qualifications in it. Create a discussion that is both engaging and informative so that you can fully showcase how fit you are for the job. List down your administrative skills and knowledge. Identify your ability to navigate administrative systems and to execute administrative work like bookkeeping, taking minutes of the meeting, and creating schedules for events and meetings. 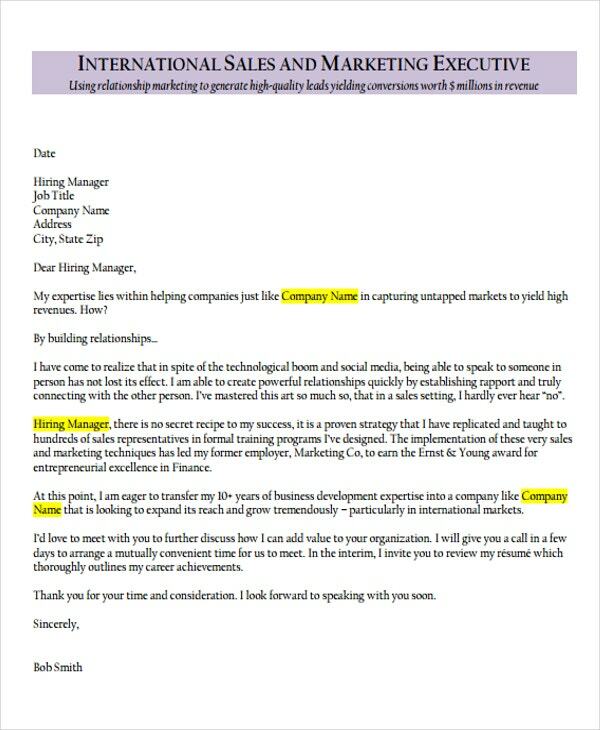 Aside from the our Executive Assistant cover letter templates, we can give you downloadable Sales Cover Letter Template and more kinds of other Free Cover Letter Template samples. 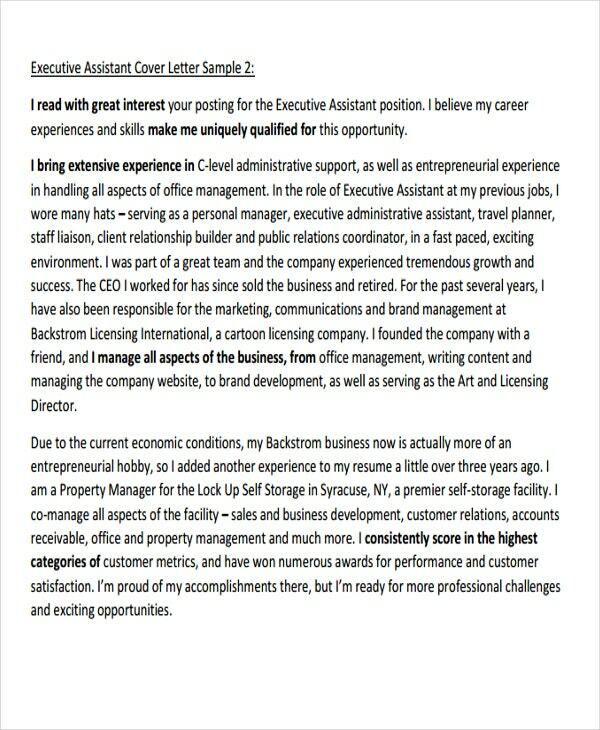 Make sure that your cover letter looks like a business letter. It should be ideal for corporate and professional transactions. 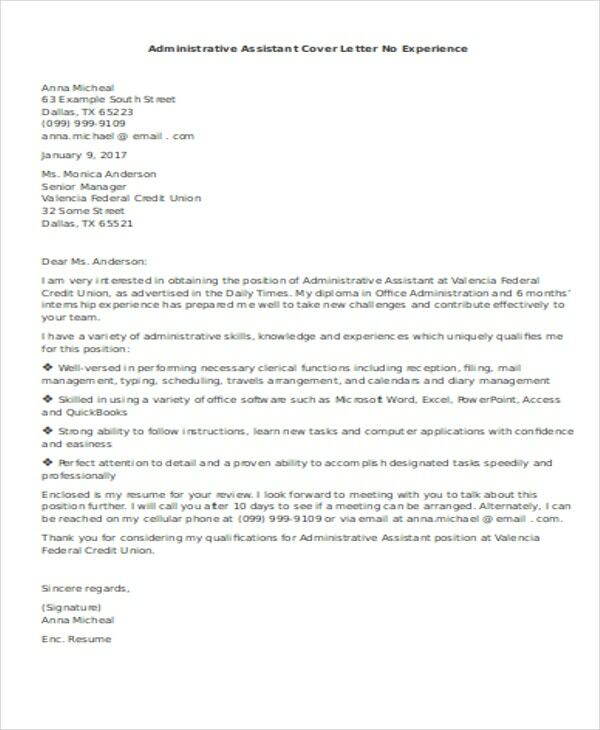 As an executive assistant, you will be tasked to write different kinds of letters that may be used both in internal and external processes. 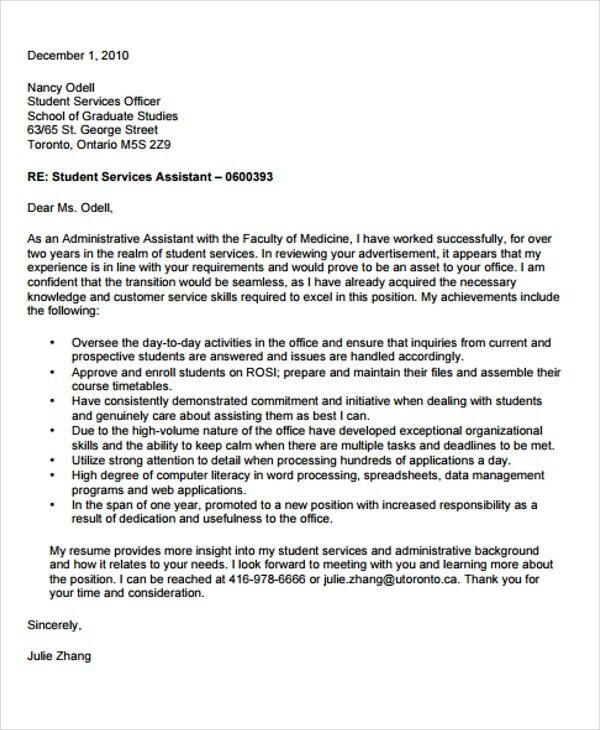 Use a template that can guide you in creating a well-curated and professionally formatted cover letter for executive assistant. Assure that you will have a smooth flow of discussion by grouping the items in the same criteria like your skills, professional job experiences, educational attainment and more. 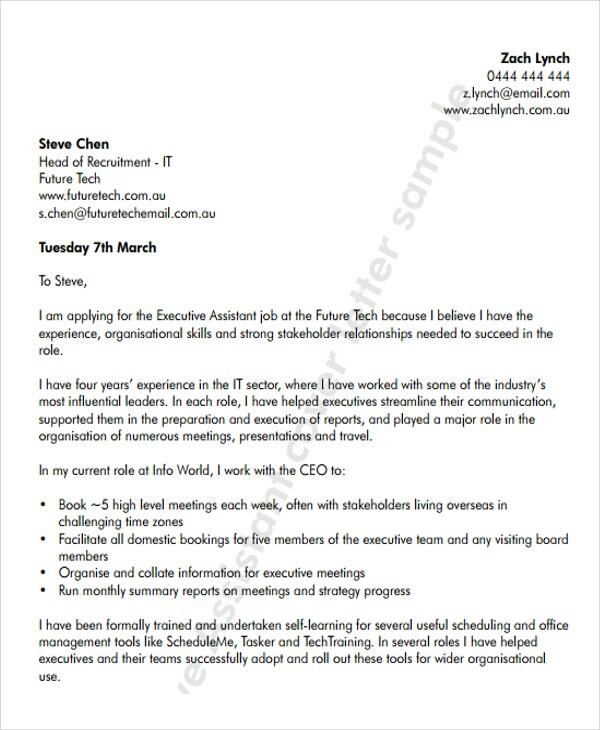 More than our executive assistant cover letter templates, our samples of Employment Cover Letter Templates are also available for you to browse and download.